Check this out! 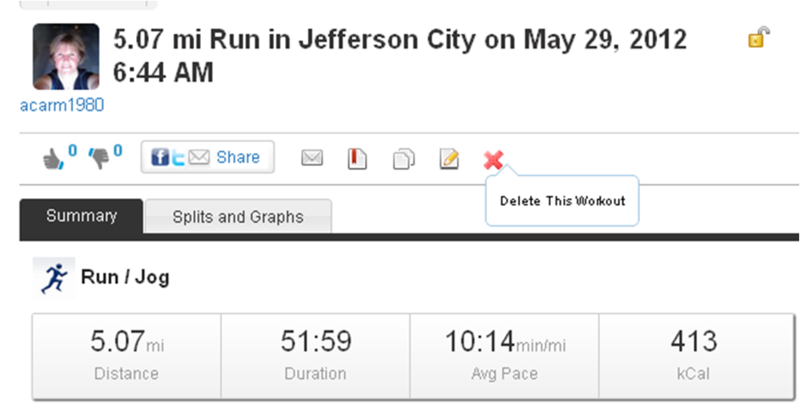 This is the fastest and longest run I’ve ever done (definitely Personal Best)! My first two miles were 9:10 and I finished it going up a steep hill. Warm up and cool down was a half mile each way. This entry was posted in Fitness, running, Training. Tagged personal best, Road running, Running. Next Post Next post: Marathon Training…Bring It!